The Avg. Group Discount is 14.6%! Located steps from Calgary's downtown business district in the In the heart of the vibrant East Village near the shores of the Bow and Elbow Rivers near attractions like the Calgary Tower, Calgary Zoo and Fort Calgary, numerous dining and shopping options. One of two Hilton branded properties (the Hilton Garden Inn is situated under the same roof), the Homewood Suites by Hilton offers spacious suites give you plenty of room to work, rest, enjoy a meal, or simply sit back and relax. Ideal for extended stays with fully equipped kitchens, including utensils and dishes, separate living and sleeping space, and comfortable sleeper sofas in all guest rooms. 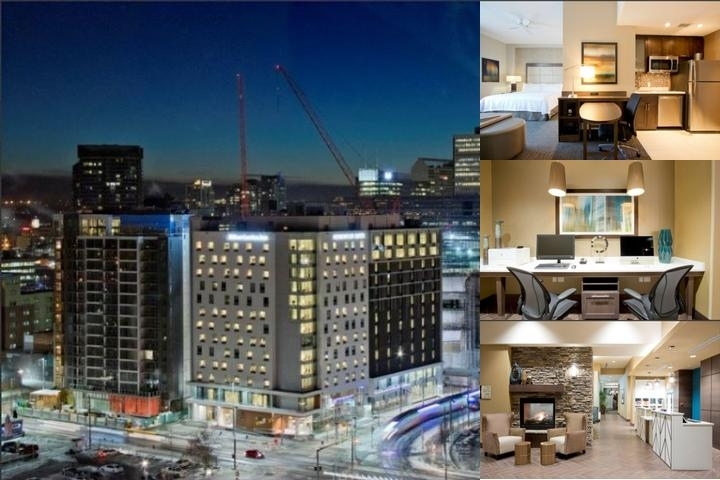 Second floor swimming pool, whirlpool and fitness area with a breathtaking urban backdrop, 13th floor rooftop terrace, onsite laundry facilities, in-room dining. Complimentary Buffet Breakfast served daily and Evening Social (Monday - Thursday) in the Lodge serve to enhance your experience. Complimentary grocery shopping service, 24 Hour Pantry and Suite Shop offering snacks and drinks and Complimentary WiFi available throughout the hotel are added benefits enjoyed by our guests. LightStay, measures energy and water use and waste and carbon output at Hilton Worldwide properties around the globe. Cancellation policies may vary depending on the rate or dates of your reservation. Please refer to your reservation confirmation to verify your cancellation policy. Dogs (no cats please) to a maximum of 25 lbs are allowed. There is a $75.00 Non-Refundable deposit required. Service animals are allowed. Calgary International Airport, 18km. One-way taxi: approximately $40. Duration 20-30 Minutes. Local Shuttle Info: Calgary Allied Airport Shuttle. One-way: $15. Duration 60 Minutes. Heated, secure, underground and Valet only parking available at a charge of $38.00 (weekday) and $25.00 (weekend).